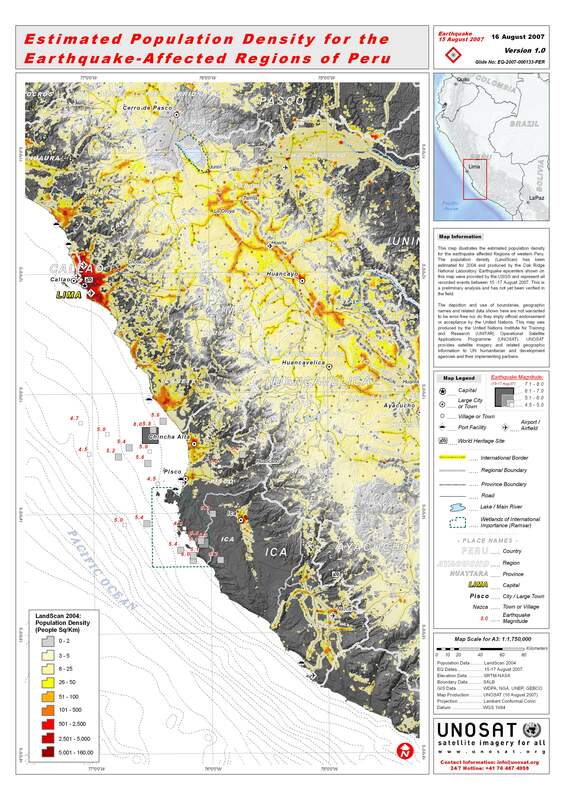 This map illustrates the estimated population density for the earthquake affected Regions of western Peru. The population density (LandScan) has been estimated for 2004 and produced by the Oak Ridge National Laboratory. Earthquake epicenters shown on this map were provided by the USGS and represent all recorded events between 15 -17 August 2007. This is a preliminary analysis and has not yet been verified in the field.